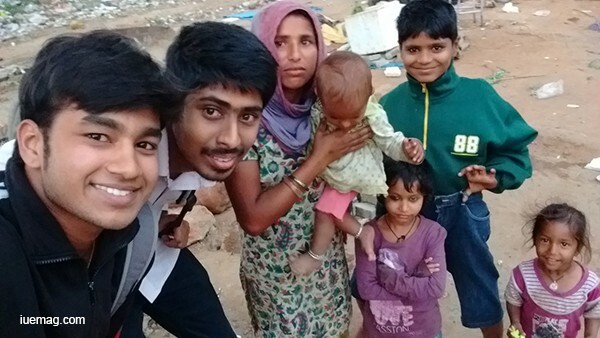 A recent visit to one of the semi-developed slums in Gavipuram, Bangalore revealed a new world to us Walk Free members Bharath Aditya, Vinay Karthik, Vishwa Kiran, Aishwarya Ganesh and Nisha Rao. What started out to be a normal survey for signs of Modern Slavery changed our perspectives. All five of us met up at 11am on 18th of January near the slum and discussed the questions we wanted to ask them. Our translator was Aishwarya Ganesh, who could speak Tamil; a language the residents were more comfortable with. We engaged the residents into conversations and recorded their replies, posing as students collecting information for our college magazine. So far, there was no sign of the evils we were looking for. Entering into the slum was like entering into another world. 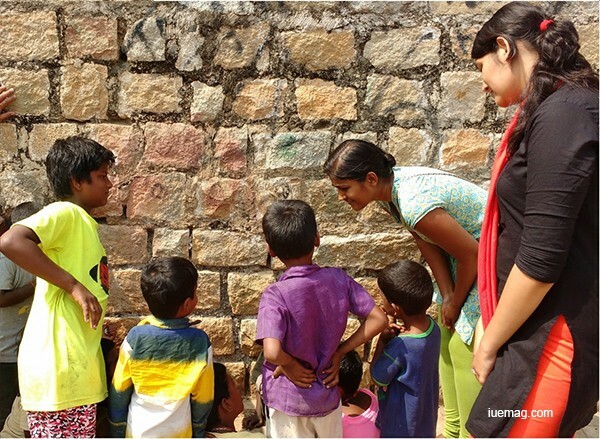 Heaps of garbage, stagnant dirty water, narrow lanes and hundreds of buzzing flies welcomed us. The one problem they all complained about was of bathroom facilities. The toilets they used were public bathrooms which were not only farther away from their residence, but also were in pathetic conditions. Even though some houses had an attached toilet, poor ventilation and lack of an efficient drainage system made them useless. Water availability was the second pressing issue, followed by unemployment and bad health. We spoke to some teenage girls who were somewhat educated and asked if prostitution, harassment and trafficking were an issue in the neighbourhood. We were happy and relieved that these were not present here like in some slums. We also posed questions about child labour and child harassment, which were also absent, thankfully, in this place. What we found out from kids, elders, residents and all other folks was that children are going to schools regularly and are doing okay. There was one heart warming scene to which I believe we were lucky to come across; Kids making Tomato curry in a small bowl over a small paper fire. 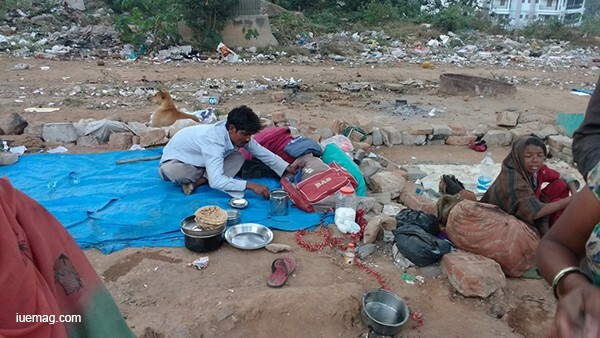 That day in Gavipuram slum had taught us that Modern Slavery did not have a root there, but problems of equal severity that affected their daily life. When we left that “another world” we had learnt two things – How vivid and difficult life is and how to make a tomato curry.